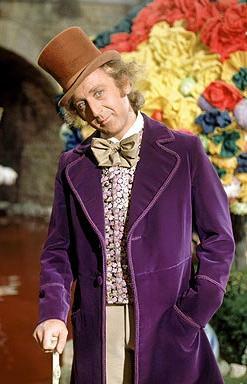 Since I was a child one of my favorite movies has been Willie Wonka and the Chocolate Factory. The original one of course. (I’m not that young ; ) Which by the way is much better than the Johnny Depp Version. I remember so well the intro were they actully showed chocolate candy bieng made right before your eyes. 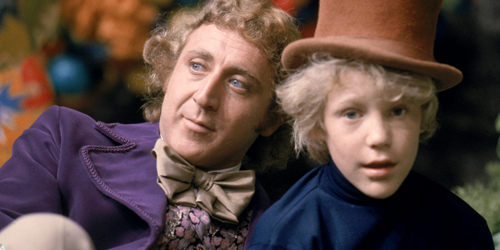 Being raised on food stamps we didn’t always get to have all the chocolate we ever wanted, so I’d sit and watch as Willie Wonka opened up a world of endless possibilities and brought hope to a struggling young boy who was tired of eating cabbage water. Since my childhood I recall the story from time to time as I see parallels in my life that bring me back to the Chocolate Factory. Until recently I’ve never thought to far into the plot of the story but subconsciencly I suppose I have identified with some of the characters all my life. It’s amazing what power stories can have in our life and especially ones represented in video format. I’ve never been much of a story reader. I always liked factual books with useful information. 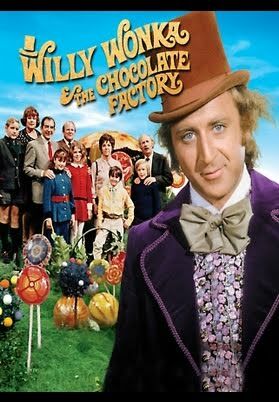 As I remember Willie Wonka and the chocolate factory is based on a novel by Roald Dahl Called “Charlie and the Chocolate Factory” with a sequel entitled “Charlie and the Great Glass Elevator”. Recently I’ve encountered one of these parallels in the form of an “Amazing MLM Guy” by the name of David Wood. At first sight I found him a bit creepy. As I made my way around internet land there was a certain buzz I kept hearing about something wonderful David Wood had to offer. 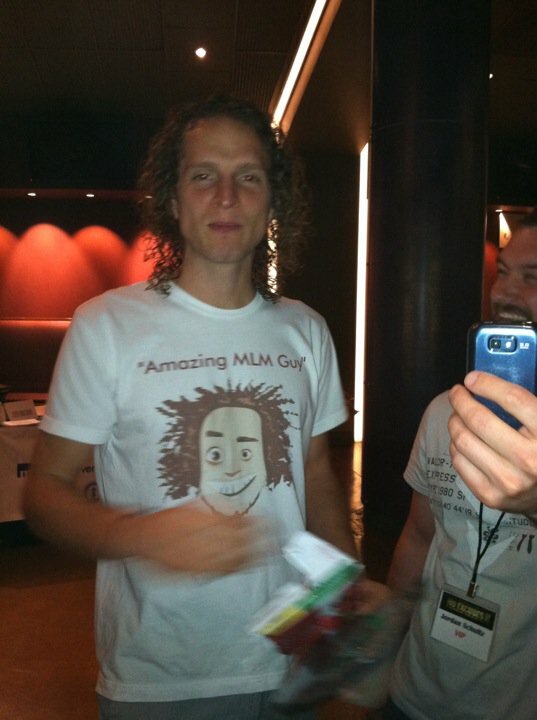 It seemed that everywhere I went someone was talking about David Wood and his amazing MLM Methods. At first it drove me crazy. This tall strange figure with all his weirdness talking about how he went from living in a Green 1996 Dodge Caravan on the North shore of Oahu Hawaii to living in a 4000 Sq. ft. home in the mountains of Costa Rica just seemed strange to me. As the message kept repeating and I was exposed to more details about David Wood for some strange reason it gave me hope that it is possible to not have to eat cabbage water the rest of my life. Soon after I decided to see what all the buzz was about I found myself deep in the mist of an open loop ; ) and in a world I always new was possible but wasn’t sure how to get to. Thats when I realized. After following the instructions from his 8 day traffic transformation bootcamp I set out on my journey to discover a world full of sweetness. 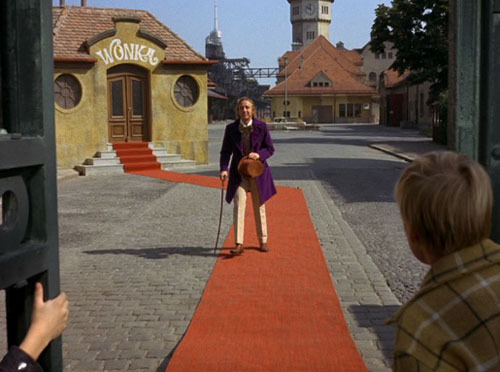 As I traveled along I kept hearing from the candyman David Wood reminding me of what it takes to find a Golden Ticket and that the world of MLM doesn’t have to taste horrible. And one day I began to hear some news that David Wood was opening up his Factory to 25 individuals to whom he would reveal everything. How he makes his Chocolate taste so good. How he went from homeless to living in Costa Rica. 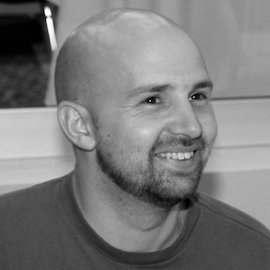 How he became the #1 recruiter in his primary company as well as the largest attraction marketing system in the world. How to live in a world of endless possibilities, build your MLM business on auto pilot, and recruit at will as many new reps as you please. Since I had just started looking into David Wood and his scrumdiddlyumptious ways I hesitated for a few days to decide whether or not to buy any Chocolate from the candyman David Wood. Just as I reached the point were I actually believed I could be free with a golden ticket from David Wood I went to buy my Chocolate bar and to my disappointment there were no Golden Tickets left. The 25 People had already claimed their prize. Then the news came straight from the candyman David Wood. He had made an exception and there was a few more tickets to be had. So I immediately ran to the candy store (AKA the buy button) and claimed my ticket to enter the Chocolate factory. He called it “The Perpetual Funnel System”. As I entered the world of David Wood I began to see things so clear that I only imagined could be possible. In the world of David Wood there is no struggle to get trafic, make money, recruit new reps, duplicate success. It all began to make so much sense. If you ever had a chance to spend some time with David Wood you know that he is a master at speaking belief into his hearers hearts. He has a way of transferring his confidence into his listeners that few people do. And by the end of the tour I was ready to take on the task of creating my new world of a limitless life. 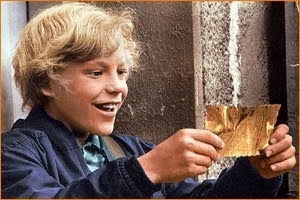 David Wood and the real reward of the Golden Ticket. As the Great tour came to a close David Wood started to reveal the real prize the Golden Ticket had to offer. The Chocolate Factory was the coolest place I think I had ever been but what lies beyond the tour doesn’t even compare Just as Willie Wonka Spoke to Charlie Bucket and told him the reason he opened up the Factory was to find someone to come and live their and learn all his secrets so David Wood spoke to me and offered me a chance to join him in his Chocolate Factory. And so I did. Now I live in this wonderful place were Traffic and leads, New Reps and making money are all just a part of everyday life. I work hand in hand with the candyman himself making wonderful tasting treats for all the MLM children to enjoy. Would you like to tour the Factory with Me and David Wood ? Being partners with the Candyman has it’s advantages. One of which is I can give someone a tour of the Factory whenever I choose to. If the world of MLM isn’t as sweet as you would like. Let us discover a new world of endless possibilities together. Open up This Bar of Chocolate and see if you find a Golden Ticket. ; ) you could be going through the factory by the end of this hour. P.P.S. Look out for the Sequel were me and David Wood go through the Glass Ceiling in our new Glass Elevator we’ve built on Facebook !